Do you have questions after being arrested or charged with a crime in Northern Virginia or elsewhere in Virginia? In our Frequently Asked Questions, our experienced criminal defense attorneys offer clear and helpful answers to a wide range of common questions, as well as clarification of difficult legal concepts. If you don’t see the answer to your question here, you can also contact our law firm directly at 877-652-1553. What’s the best way to hire a criminal defense lawyer? If you need a criminal defense attorney, the person you hire could play a pivotal role in whether you go to jail, pay significant fines, or face other legal penalties. When you’re making a decision about legal representation, it is often a mistake to hire a lawyer who does not specialize in criminal law. You may have a used a great attorney for a real estate closing or to draft your will, but if you have been charged with a crime, you need a criminal defense lawyer to represent you. How long have you been practicing criminal defense law? How often do you appear in the court where my case will be heard? How frequently do you go to trial? How many of your cases end in plea bargains? Have you ever handled a case similar to mine before? Do you see any potential problems with my defense? Who else at the firm will be working on my case? Can I call you if I have any questions about my case? If you would like to schedule your first appointment with the experienced Northern Virginia criminal defense lawyers at Kearney, Freeman, Fogarty & Joshi, PLLC, please call us, or fill out our online contact form today. What are your rights at Virginia sobriety checkpoints? Police can legally operate sobriety checkpoints in the Commonwealth of Virginia, but their right to stop and search a driver is not unlimited. Instead, the Fourth Amendment to the United States Constitution protects drivers from unreasonable search and seizure and gives drivers certain rights at sobriety checkpoints. Stop every vehicle that goes through the checkpoint. Instead, police may stop vehicles according to a predetermined pattern such as every third or fifth car. Of course, this does not prevent the police from pulling you over if they have reasonable cause to believe that you have violated the law. Insist that you take a BAC test or field sobriety test simply because you drove through the checkpoint. However, the police may require one or more of these tests if they reasonably believe you are intoxicated. Require you to answer questions about where you are traveling from or what you were doing prior to being pulled over. While you should always be polite to the police and provide your license and insurance information, you do not have to answer questions that may be self-incriminating. While you may not be able to prevent being pulled over at a DUI checkpoint, you can control what happens after the police stop your car. 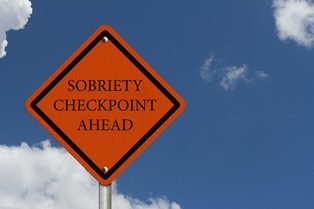 Understanding what the police can and cannot do is the first step in protecting your rights at a sobriety checkpoint. However, if you are arrested for drunk driving in Virginia, you need to take further action. You need to contact an experienced DUI defense lawyer quickly for help getting the charges against you possibly reduced or dismissed. The criminal penalties for drunk driving in Virginia can be significant. Call us, or contact us via this website for a free, no-obligation consultation about your rights, so you can protect your future. What happens if I'm caught driving on a suspended license in Virginia? 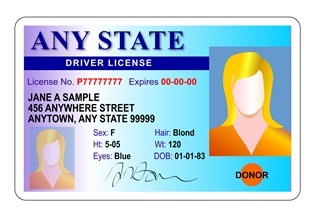 If the state has suspended your license, you’re not allowed to drive unless you have a restricted license that allows you to drive to and from specific locations such as work, school, and medical appointments. Up to 12 months in jail, up to $2,500 in fines, and an additional suspension of your license for your first or second offense. A mandatory minimum 10-day jail sentence plus up to 12 months in jail, up to $2,500 in fines, and an additional suspension of your license for your third or more offense. To be convicted of driving on a suspended license, the Commonwealth of Virginia must prove that you were driving a motor vehicle on a public road, that your license had been suspended, and that you knew that your license was suspended when you were driving. If the prosecutor cannot prove one or more of these elements, you cannot be convicted. An experienced lawyer can help determine whether you have a defense that could be successful in court. However, our experienced lawyers may be able to help you even before you are charged with a misdemeanor. If you believe that your Virginia driver’s license was wrongfully suspended, we may be able to help you get your license reinstated. Likewise, if you believe your license is about to be wrongfully suspended, we may be able to help you before that happens. Not being able to drive can have a significant impact on your life, on your ability to work, and on your ability to take care of your family. However, it is important that you don’t make matters worse by driving on a suspended license. For more information about how to protect your rights, please contact our experienced defense lawyers now by calling 877.652.1553.